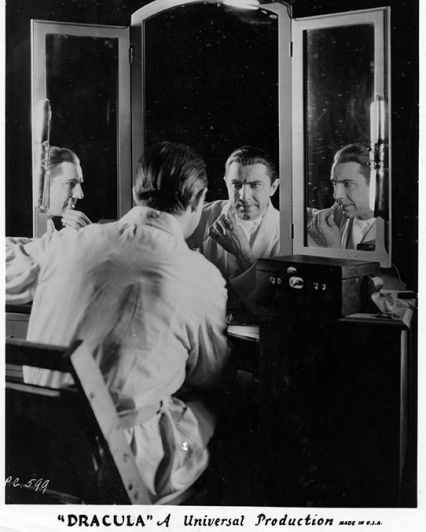 From the private collection of Conrad Brooks - High Resolution photograph of Bela Lugosi at makeup bench during the production of Dracula. From the private collection of Conrad Brooks - High Resolution photograph of Bela Lugosi at makeup bench during the production of Dracula. Jack Pierce actually provided Lugosi with the required film makeup, but this pose made for a great publicity picture.